I wrote a piece recently for ‘This is Glamorous’ about the magical Château La Durantie in the Dordogne with all the elements you would imagine in the most picture-perfect French château – parquet floors, Louis furniture, gilt mirrors, crystal chandeliers and elegant panelled walls. Being immersed in that elegant world got me thinking about how you might inject some of that wonderful French style into a home that was – shall we say – a little less grand?! 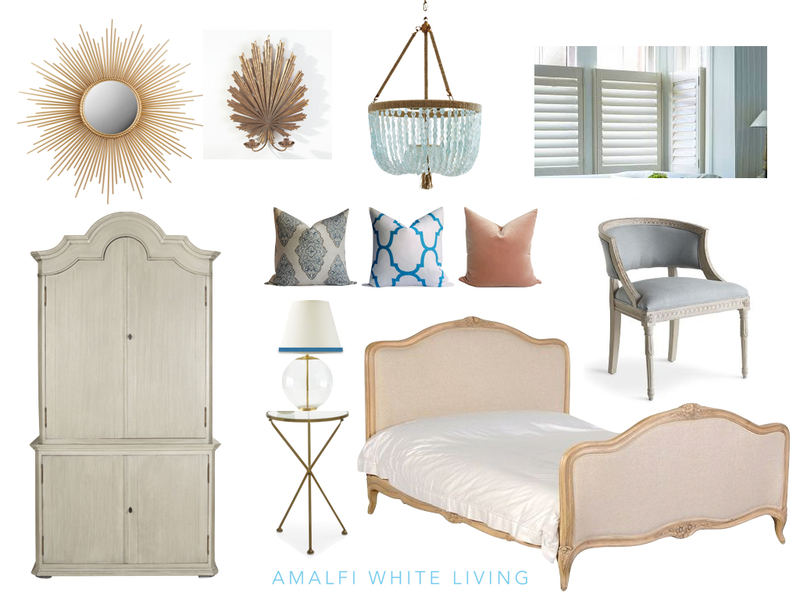 Here’s some moodboard ideas that I came up with for a bedroom with French chic with a little bit of beachy glamour thrown in to keep it interesting and fresh. It’s not hard to find well-made examples of reproduction Louis furniture (well the originals are a little out the range of most budgets!). And the fun then is playing around with the elements and adding modern twists. For example, the chair I have included above is more accurately ‘Gustavian’ in style but as that style itself was derived from the French court, I felt we could include it. And I purposely chose a bedside table which was modern and glamorous as a counterpoint to the more traditionally styled bed. The key is that you end up with the spirit of the style without trying to be too historically accurate. Is it time for summer style in your home? I’m also very interested in how to bring a sense of summer into your home, not just for a few months of the year but all year long. It’s all about a light, fresh backdrop with bursts of brighter colour and easy, relaxed textures like wood, sisal and rattan. 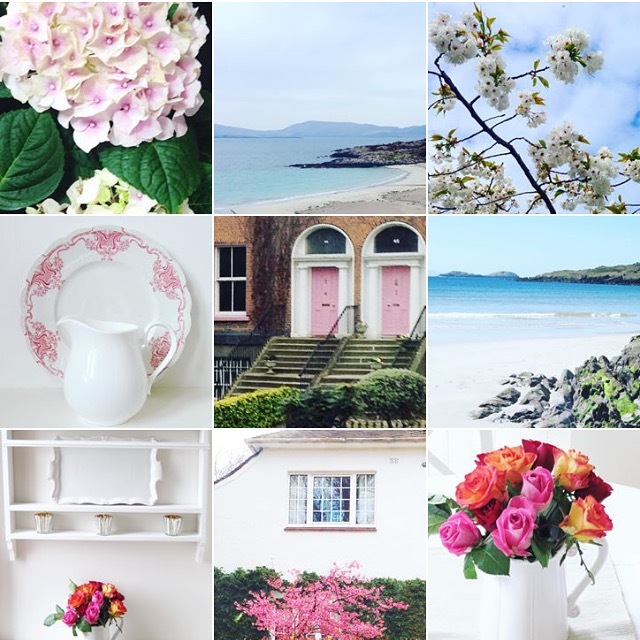 I’ve been gathering images of this style, which I call ‘Summer House Style’, over on Pinterest for a while now so do have a look and see if you love it as much as I think you will.